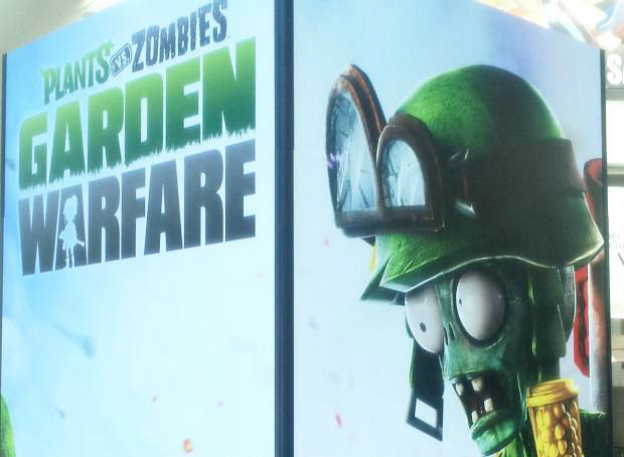 Popcap is flipping the script on casual gamers with the surprise reveal of Plants Vs. Zombies: Garden Warfare at The Download: EA 2013 pre-E3 event. Whereas the original Plants Vs. Zombies is a tower defense title through and through (and a sequel to that is on the way, due out July 18), and Plants Vs. Zombies Adventures is a social endeavor, Garden Warfare is a third-person action game primarily structured on shooter mechanics. Popcap demonstrated the new game's four-player survival mode, which seemed most akin to Horde mode and other such wave-based challenges. In this mode, players will be able to control familiar plants such as the Peashooter, Cactus, and Sunflower; they will serve as the basic assault, sniper, and medic classes respectively. New plants, such as Bok Choy, were also on display, as were gargantuan zombie bosses. Garden Warfare will release first on the Xbox One and then later on the 360. No word as of yet on a specific release date.